The win will be a relief to Joe Schmidt after they lost to England 20-32 in the opening game as they now move to the fourth position with four points while Scotland slipped to third. Ireland paid the price for an infringement from Bundee Aki at breakdown as Greig Laidlaw kicked a seventh minute penalty to kick-start the proceedings for Scotland but the visitors responded back in the 10th minute when Conor Murray touched down for an unconverted try. 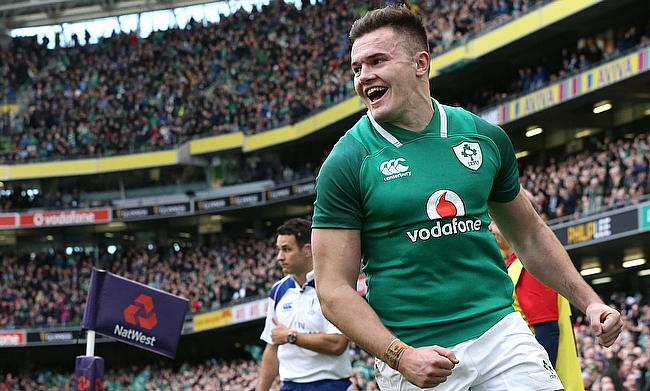 Ireland continued to build on the momentum as a combination of Peter O’Mahony and Johnny Sexton sent Jacob Stockdale over the line in the 17th minute and Murray kicked the conversion this time as the visitors raced to 3-12 points. A minute later Scotland suffered a further setback when Stuart Hogg left the field with an injury. As teams were struggling to find a breakthrough in the second half, Carberry finally managed to provide the breakthrough in the 56th minute when he made a long pass to Keith Earls for Ireland's third try and replacement fly-half also kicked the conversion to stretch their lead to nine points. A 62nd minute penalty from Laidlaw reduced Scotland's deficit to six points but his efforts were negated by Carberry's kick in the 69th minute following which Schmidt's side held their defence well to complete a 13-22 victory.